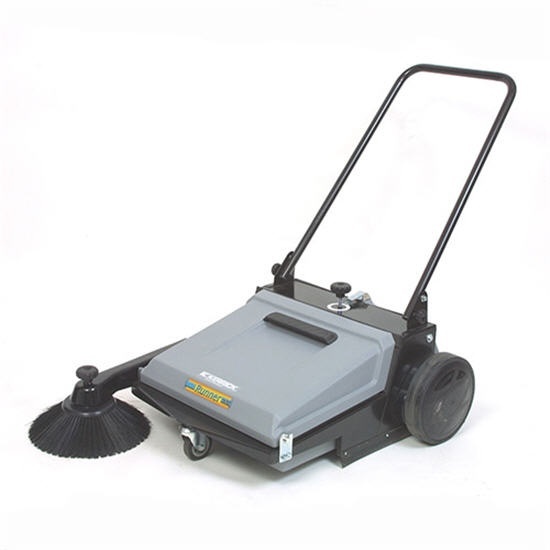 The Manual Sweeper is a maintenance free, manual push model unit with dual hoppers and side brush. The unit operates in both forward and reverse and easily picks up dust, cigarette butts, leaves, swarf and much more. Features include an epoxy-powder coated steel fame, a fold down handle for easy storage and an adjustment for the main broom height. The Manual Sweeper has a working capacity of 2500m2 and is great for covering large surface areas.